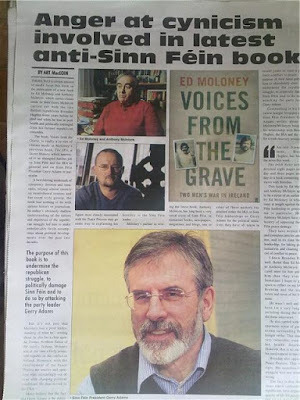 Kateys Diary: Demonising the dark. 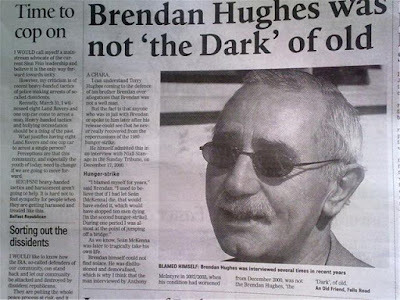 It seems that all the stops are being pulled out in the Sinn Fein media outlets to demonise Brendan Hughes or the dark as he was known. This is from the Andersonstown news, (click on imaged to enlarge ) The top image of the letter comes from the Andersons town news while the bottom image is from an phoblacht.